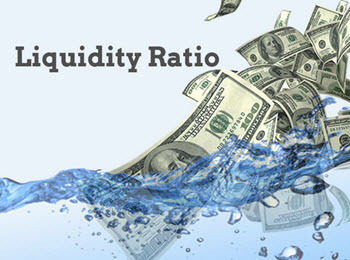 ‘Liquidity ratio’ is a common financial term that is often bandied about. However, for those of you that don’t know what it means, this term can be somewhat confusing. With that in mind we will endeavor to explain what it means and how to use it, in the following article. ‘Liquidity ratio’ is used in relation to a number of different areas, and these will be outlined in what follows. Also known as the ‘cash reserve ration’, this is a bank regulation adhered to by most of the world’s banks. It means that there is a minimum amount of cash on hand that must be held physically by a commercial bank. This minimum amount is determined separately for each individual bank and is based on the percentage of deposit liabilities that the bank owes to its customers. In short, the bank must be able to have enough cash to fully pay back any of the short-term creditors should they all show up at the same time and demand a pay-out. This is in order to prevent banks crashing and causing panic – something that has occurred in the past. Banks are not required to have the cash on hand to pay out longer term loans, however. This reserve requirement can be used on a large scale, and in some cases will even influence how much a country can borrow and what interest rates they will be given. The ‘quick ratio’ measures how fast a company can pay back any small or short-term loans it may have in an instant fashion. ‘Quick assets’ can include a variety of things, such as current assets that can be changed into cash very speedily and done so at a value-matching or as close to matching their book value as possible. Essentially, it is a ratio between these quick assets and the loans the company has. A normal quick ratio would be 1:1, clearly demonstrating that the company can pay back any loans instantly with no problem. Any company that shows something different, such as a ratio of less than one, is showing that they are unable to pay back these short-term loans. The calculation is often used to see how reliable a company is. LR = liquid assets/short-term loans.